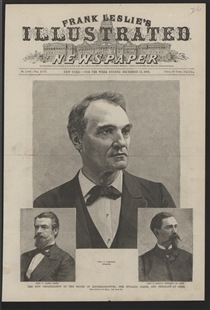 The new Speaker and Officers of the House were featured in portraits on the cover of Frank Leslie’s Illustrated Newspaper. 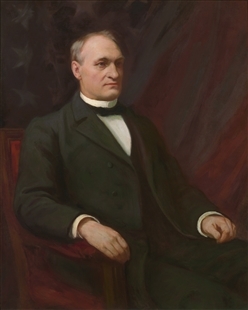 John Carlisle’s victory over Samuel Randall for the Speakership was reportedly a surprising outcome, seen as a signal of the importance of tariff reform among the Democratic majority of this Congress. The new Speaker was featured in the central image.